Today, Turkish Casting Industry with its production exceeding 1.100.000 tons has the ranking 15th in the World and 6th in the Europe (according to the datas of 40th Census of World Casting Production -2005). 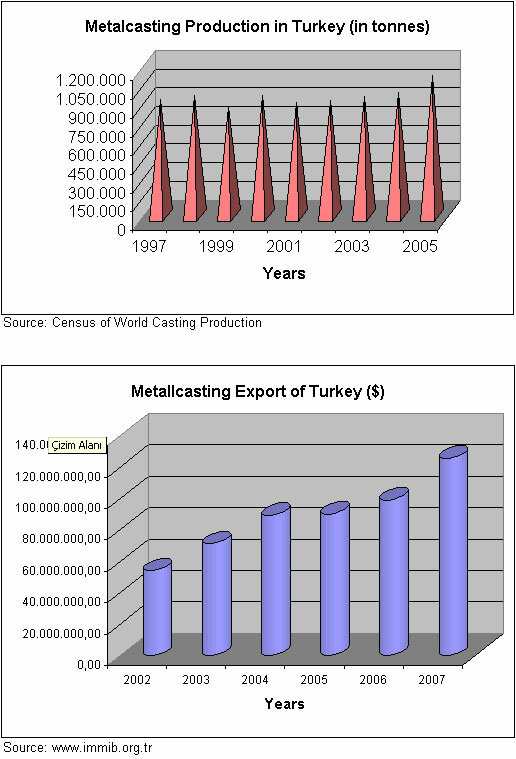 In the last decade, the Turkish Casting Industry has become a larger supplier to European users of castings. While Europe's foundry production increased by 7.8 % between 1970 and 1998, the corresponding increase in Turkish output was over 250 %. Since 1990, with the help of modernization, capacity improvement investments plus an export drive, considerable production increases were achieved - a trend that continues today.